Morag wanted to be able to surprise her daughter Becky with an extra special Christmas gift. 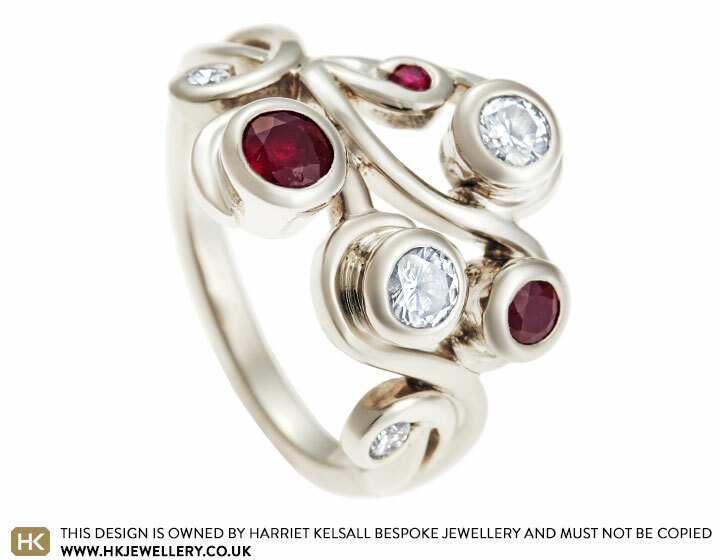 She commissioned this striking dress ring which has been handmade from 18 carat white gold and set with Morag’s own diamonds and rubies. The composition of the stones along with the open, shaped metal creates an organic, floral inspired design. A polished finish completes this unique piece.